Medical School of Maine students with a cadaver. Left to right: Anson Andrews, Clarence Thompson, Frank Gilbert, Clarence Marston, Martin Maddan, James Hutchins, and Bruce Higgins, all students in the Medical School of Maine Class of 1901. 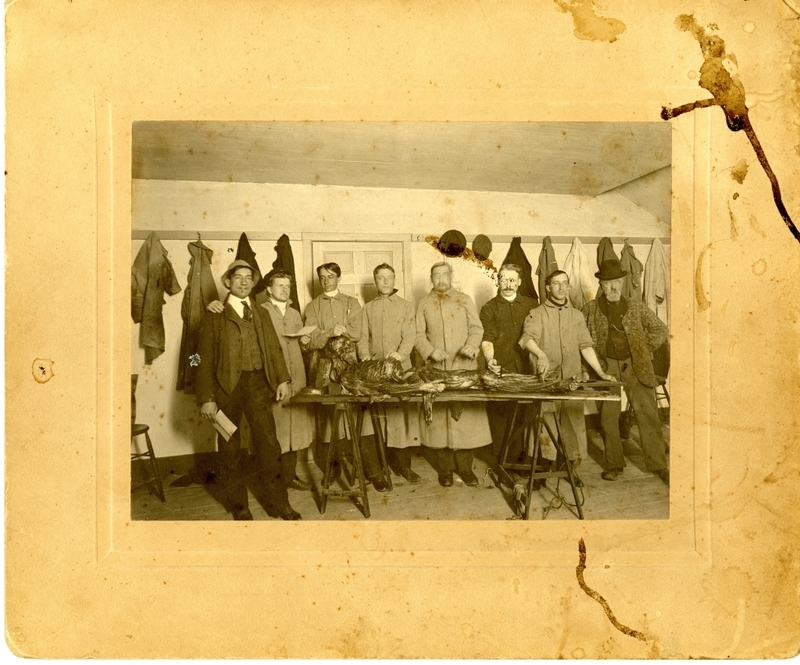 Names are listed on back of the photograph, including "Professor Booker, janitor," far right.